Coffee is a daily essential in the lives of many modern individuals with a hectic schedule. It wakes you up in the morning and provides you with a much-needed jolt that boosts your energy throughout the day to keep you from falling asleep at your desk or forgetting to pick up your kids from school or soccer practice. With a coffee maker, you can brew your own coffee from the comfort and convenience of your own kitchen without having to spend five bucks on an expensive coffee drink from a coffee shop. 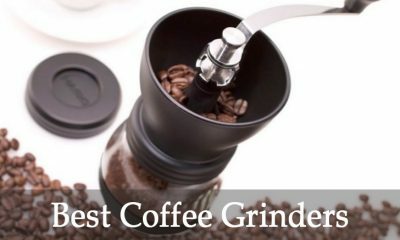 If you’re a coffee fiend like millions of other people in this world, keep reading the following coffee maker reviews to learn more about the top rated ten best coffee makers you can buy. What is the best coffee maker for home and office use? Here is the list. This amazingly fast-acting coffee maker from Presto can brew one cup of coffee per minute and can make up to twelve cups of coffee at a time. It is equipped with a special stay-warm feature that keeps your coffee hot automatically after it’s finished brewing. 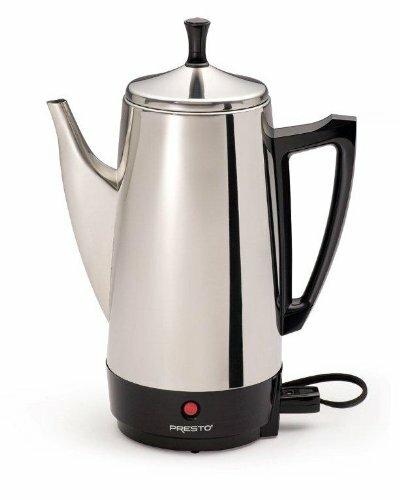 Crafted from quality, pure stainless steel, this coffee maker is durable and easy to clean. Its stainless steel construction and sleek, compact design allows it to be incorporated easily as a countertop fixture into the existing decor of your kitchen. This coffee maker from MaxiMatic can brew up to four cups of coffee at a time. It features a convenient water level indicator that lets you know how much water you’re putting in and how much water is left to brew so you can see how much coffee you’ll be making. With an innovative built-in filter that is re-usable and washable, this coffee maker helps you save money and the environment by preventing you from needing to buy packs of disposable filters. The coffee maker’s carafe itself can be washed easily in the dishwasher to cut down on the time and effort you need to put into cleaning. 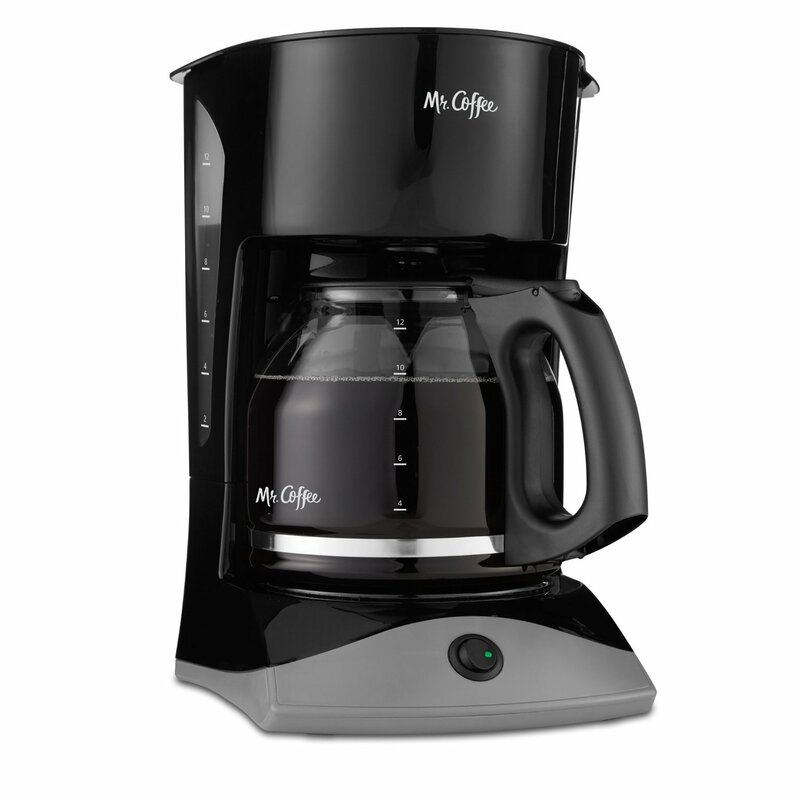 This coffee maker from Mr. Coffee has a large twelve-cup capacity. It features a removable filter basket that you can lift out of the coffee maker easily for effortless filling and cleaning. You can even pour yourself a cup of coffee while the coffee maker is still brewing with its innovating pause n’ serve feature. Equipped with cord storage, this coffee maker is easy to use and convenient to store. You can store excess cords in the cord storage and keep the coffee maker on your counter. Plus, the coffee maker includes a transparent water window that allows you to see how much water is left in the reservoir. Want to enjoy a mug of coffee at the breakfast table with your family? Hoping to bring a full travel-sized thermos of your favorite brew to a long day of work? That’s no problem with this coffee maker, which allows you to choose a container size before you start brewing in order to fill any mug, cup, or travel carrier with exactly the right amount of coffee. Equipped with special thermal extraction technology, this coffee maker allows you to choose from a variety of options, including classic, rich, and over ice, how you’d like to enjoy your cup of coffee. If you don’t want to drink your coffee right away, the coffee maker will keep it perfectly warm for you for up to two hours after brewing. 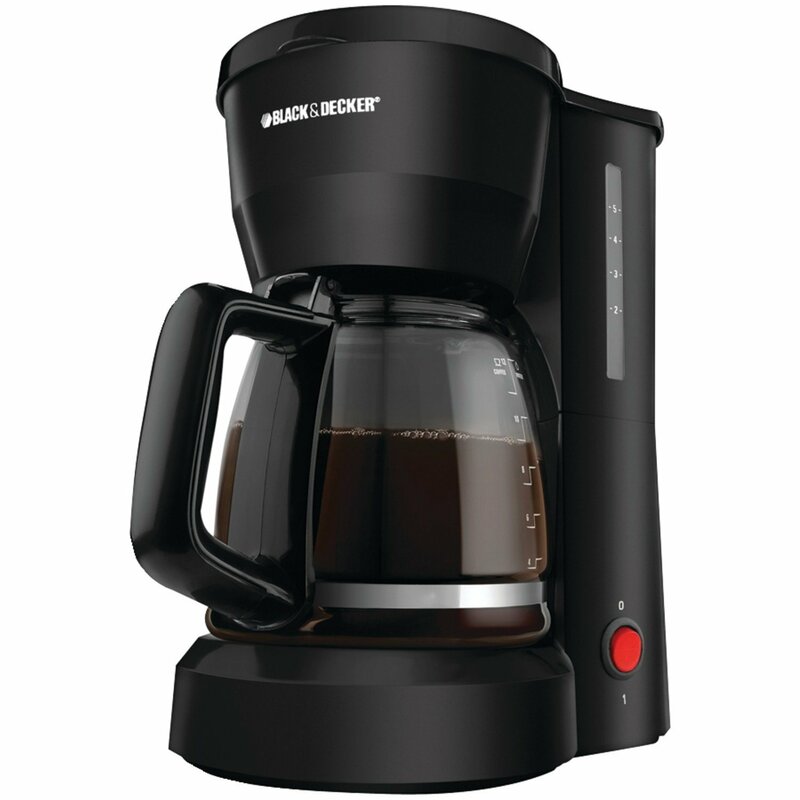 This five-cup coffee maker from Black & Decker has a sleek, modern black design that looks great as a permanent fixture appliance on the countertop of any kitchen. Despite its fairly large, five-cup capacity, it is very compact in order to prevent taking up too much space on your kitchen countertop. Featuring a thick glass carafe, this coffee maker is extremely durable and long-lasting. The carafe also features water markings to help you fill up your coffee maker with the right amount of water for the number of cups of coffee you want to brew. 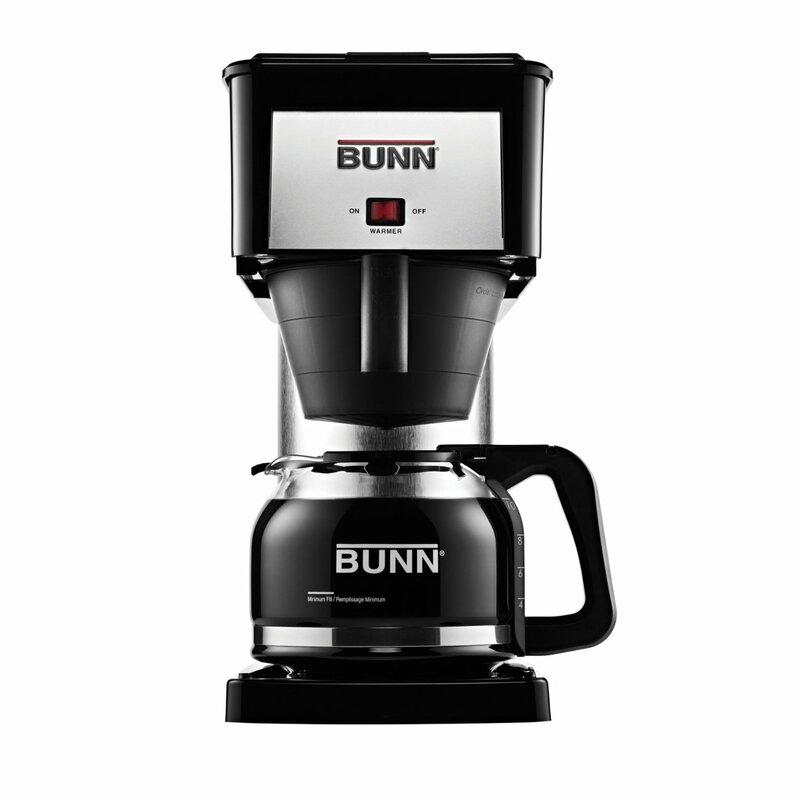 You can choose to brew between four and ten cups of coffee at one time with this at-home coffee maker from Bunn. If you’re anxious for your coffee in the morning, this is the perfect coffee maker for you; it can brew up to ten cups of rich coffee in a period of only three minutes. Featuring a special drip-free glass decanter, this coffee maker will never make a mess on your countertop or ruin your new shirt. It also includes a unique sprayhead that extracts the maximum amount of flavor from your coffee beans to create a rich brew. 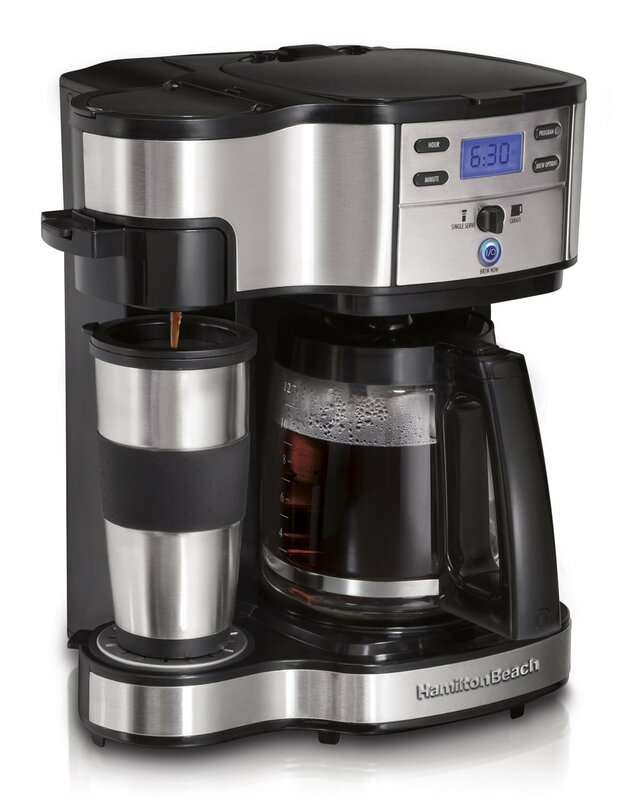 If you only need to make coffee for yourself in the mornings, this single-serve coffee maker from Hamilton Beach is the perfect coffee maker for you. Before brewing, you can choose whether you want to brew one cup or enough coffee to fill a fourteen-house travel mug for caffeinating on the go. 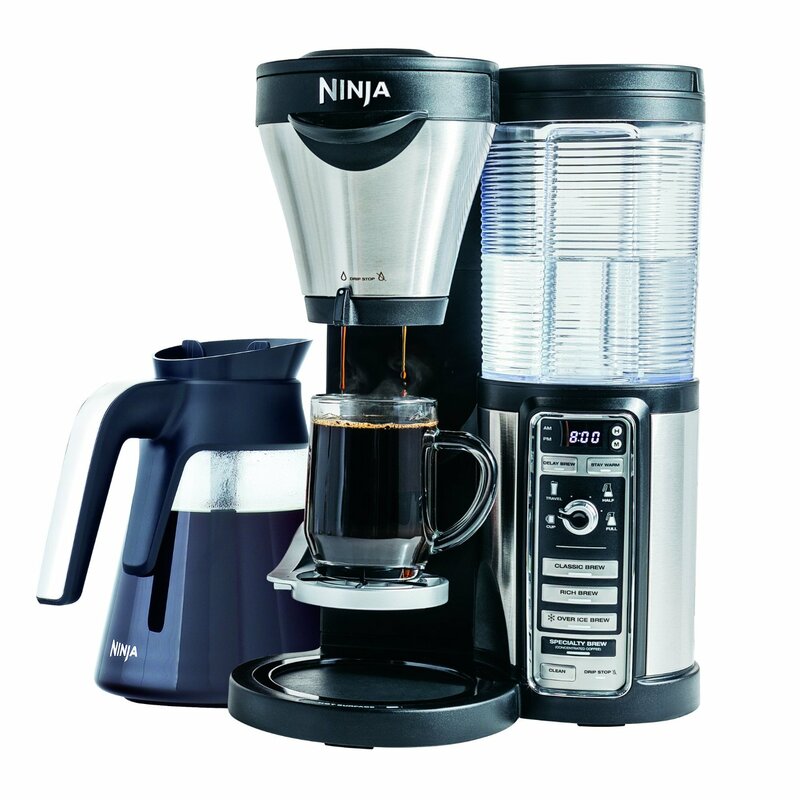 You can also choose how strong you want your coffee to be with the easy customizable controls on this coffee maker. Before you start brewing your coffee, you can choose whether you want it to be regular or bold with the push of a button. This coffee maker from Conair Cuisinart has a large twelve-cup capacity that can brew enough coffee for you and your entire family every morning. It features mess-free, dripless pouring and an ergonomic handle that provides you with comfort and a secure grip every time you pour yourself a cup of coffee to prevent spills and stains. Equipped with a special charcoal water filter and permanent gold tone filter, this coffee maker extracts the maximum amount of flavor from your coffee beans and brews only the richest, strongest most flavorful coffee to start your day off right. 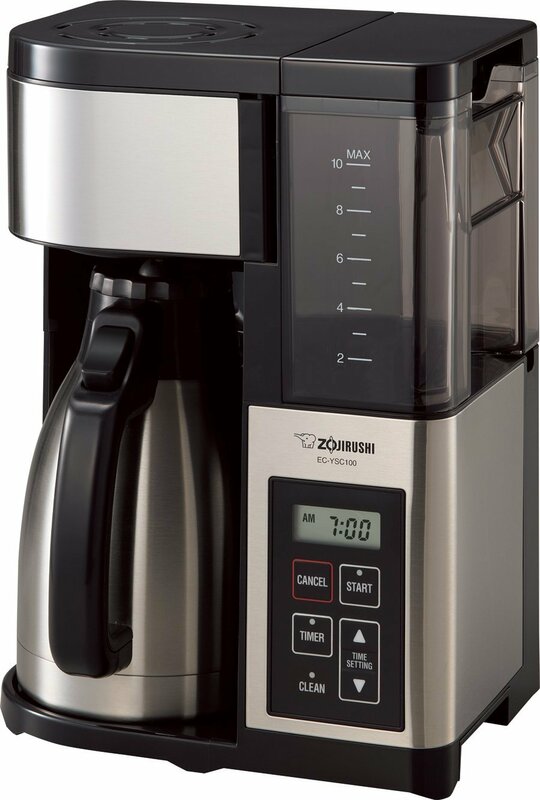 Designed with a capacity to brew up to ten cups of fresh coffee at one time, this coffee maker from Zojirushi can make enough coffee to fill your whole family in the morning. If you don’t want to drink all ten cups of coffee immediately, that’s no problem. The coffee maker will keep the coffee it has already brewed warm for you for up to several hours. This coffee maker brews your coffee at a guaranteed heat of over two hundred degrees Fahrenheit, which helps extract the maximum flavor out of the coffee beans and provide you with a coffee shop-grade brew. It even includes an automated clean cycle that cleans the coffee maker thoroughly and requires little to no effort on your part so that cleaning your coffee maker doesn’t have to be one more thing to add to your hectic daily schedule. 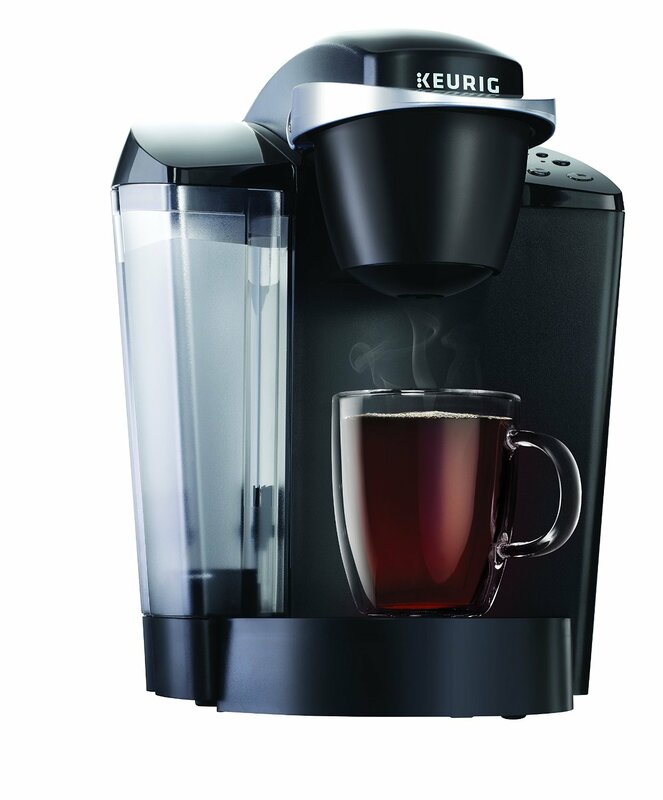 You can effortlessly brew several cups of coffee with one touch using this innovative Keurig coffee machine. 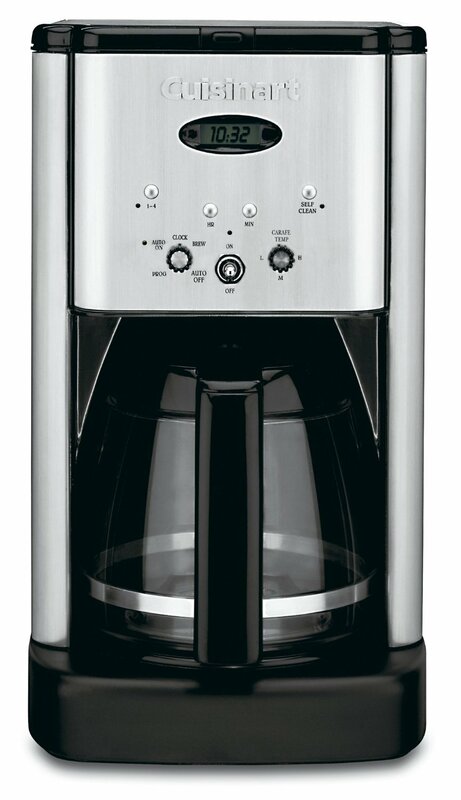 Featuring simple, intuitive button controls and a forty-eight ounce water reservoir capacity, you can brew up to eight cups of coffee before having to refill. 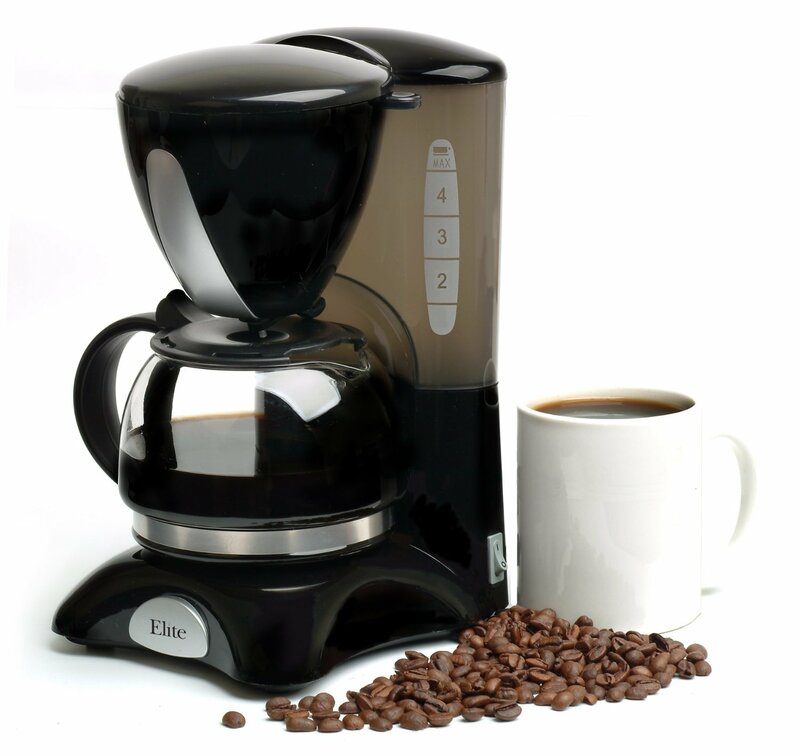 This coffee makers is equipped with a removable drip tray to prevent spills and messes on your countertop. It also includes an auto-off feature that can be programmed to automatically turn off the coffee maker after a certain amount of time to prevent electricity waste and fire hazard. Buying your own coffee maker can help save you money and add caffeinated convenience to your busy morning. 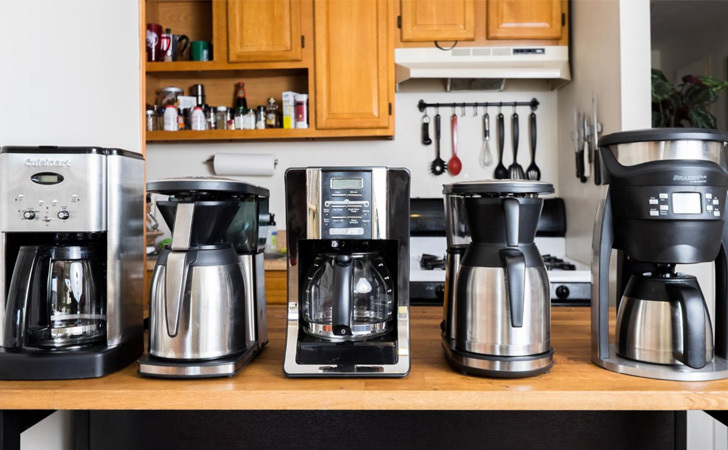 If you’re interested in investing in a coffee maker, use the list in this post before you take the plunge to find some of the best coffee makers available.